<Happy Halloween from The Geek Anthropologist! Krasniewicz began her career with a BA in Anthropology and an MA in Education, Instructional Media and Technology at the University of Connecticut. “Professionally I’ve always jumped between anthropology and technology,” (2014) she tells me, two intellectual threads she has woven into a thoroughly interdisciplinary career. After serving as Media Director for the Albany College of Pharmacy and obtaining a PhD from SUNY Albany, Krasniewicz taught classes at the University at Albany, UCLA and the University of Pennsylvania. Her training in media studies and anthropology has made her acutely aware of the pedagogical potentialities and theoretical frontiers digital media, pop culture and geek anthropology present for practicing anthropologists. Throughout her career, Krasniewicz has questioned ethnographic standards and explored alternative dimensions of anthropological inquiry. Gesturing at the intellectual elitism of the discipline, Krasniewicz laments, “Pop culture was considered the lowest form of anthropology you could do, even though I was doing it […] I mean pop culture was like trash, trash anthropology” (2014). 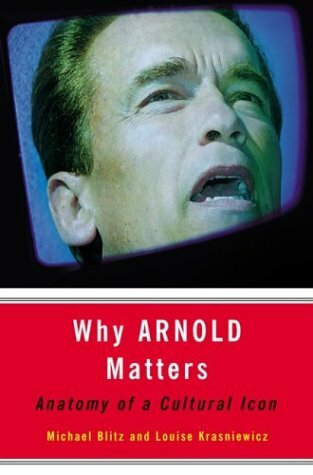 Back in the early 80’s and 90’s, Krasniewicz became fascinated with Arnold Schwarzenegger as a public fitness figure, pop culture icon and the cyborg assassinator in The Terminator (1984). She joined a group of fellow cyborg anthropologists, who explored changing definitions of humanity and technology and staged multimedia anthropological presentations and performances meant to elicit a more embodied theoretical practice.Her initial interest in Skynet and science fiction movies spurred deeper forays into geek culture, a world that combined her research interests and allowed her to analyze cultural heritage, mythology, participatory culture, symbolic anthropology, gender, and contemporary media culture through the framework of video games, fan events, conventions, graphic novels, speculative fiction and monster movies. Krasniewicz foresees geek culture as an important yet currently undervalued cultural world ripe for anthropological inquiry. “I want to tell people that there are alternative worlds,” (2014) such as comic books or science fiction novels, where she says the act of world building and cultural investment are just as substantial as field sites located in isolated geographic localities. Krasniewicz sees the methodological and theoretical foundations of anthropology as perfectly suited for a study of geek cultures. “Cosplay is just made for anthropology and there has not been much study of it. So I’ve been studying cosplay at Steampunk Conventions” (2014). She has attended numerous Steampunk Conventions and events around the country, noting, “for me it’s very cool because you see people my age who have invested as much as I want to invest in speculative, temporary worlds. They create their own characters […] They make characters; they make backstories. They make culture” (2014). Whereas many anthropologists continue to ground their research in cultures miles away from their own, Krasniewicz is among the new breed of anthropologists noticing that novel, creative sub-cultures emerge and develop within our own country. Although these comic and otaku convention may occur only an hours drive from our homes, the community is rife with distinct rituals, traditions, discourses, social structures and identities, all collectively produced and acted upon within specific cultural circles. Krasniewicz also recognized the potential for geek culture and popular media to be used as framing devices to teach anthropology. She has had her students create steampunk artifacts, comic books and videos for her classes, adding a creative dimension and element of play to the learning environment. Krasniewicz’s ethnographic research at Steampunk Conventions and conventions like SDCC and New York Comic Con for the past decade or so has also given her a unique perspective on the relationship between geek culture and gender. She credits the release of Twilight (2008) with the increased female presence at public geek events. “There was always a sense that being a woman there was a minority position and then all the sudden that broke,” she says, harkening back to “the year all the Twi-girls come to [San Diego] Comic Con” (2014). She says that the Twi-hards also catalyzed the sense of anger amongst fan boys that the “stereotypically male geek space” was being endangered and appropriated by women. Krasniewicz has noted a change in the demographics of Comic Con since the mid-2000’s: “It’s no longer fanboys coming to buy comic books. It’s everyone coming to see the latest popular culture. So it really has turned into one of the best popular culture conferences in the country. The demographics have shifted from being mostly young and middle-aged men to everybody, and that’s cool to have witnessed that happen. As anthropologists we can look at that and say how did that happen? Why did that happen?” (2014). Her ethnographic vantage point has also led to her participation in conversations about gender in geek spaces and activism for increased representation and respect for women in digital media and public conventions. She is invested in the ongoing debate over “Fake Geek Girls,” as Marie-Pierre has written about. As we know, the “Fake Geek Girl” controversy focuses especially on the identity of “the geek,” and who is authorized or allowed to identify as one. But Krasniewicz is equally interested in the identity of current anthropology and how the wider public perceives it. “I just think that there should be a cohesive anthropology,” (2014) and she sees geek anthropology as a nexus of cohesion. From her perspective, “I think geek anthropology’s whole goal is to bring to the light stuff that anthropology hasn’t allowed and to help redefine what anthropology could be, because right now it doesn’t have an identity, and that’s why it doesn’t show up in the public” (2014). Krasniewicz contends that the specialization and atomization of anthropology has fostered disunion and a lack of communication between practitioners in anthropology, only further complicating anthropology’s relationship with the public and its incorporation into public dimensions like international development, public health, and policy. 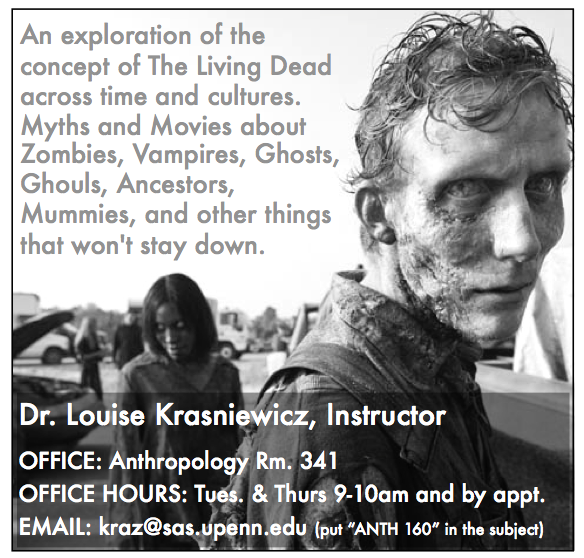 Krasniewicz wants to spark conversation about anthropology and demonstrate its usefulness as a perspective of the world by focusing on pop culture phenomena everyone can participate and have a vested interest in, like The Walking Dead (2010-2014), apocalypse narratives and horror films. Despite Krasniewicz’s renegade path in anthropology, she remains staunchly devoted to the discipline, what it can teach us, and the importance of anthropological principles in public understandings of culture. She reflects, “If anthropology works, anthropology is a way to show all the connections between absolutely everything in a culture” (2014). She believes anthropology is especially important in that it teaches empathy and promotes connections, connections between cultures and peoples that strain and yet fail to understand each other. Particularly within the current geopolitical climate of Ebola panic, ISIS threats, political unrest, and violent shootings, Krasniewicz thinks anthropology is more important than ever to frame discussions about cultural difference, alternative epistemologies and perspectives of the world. “Anthropology’s problem and its power is that it doesn’t allow simple explanation,” (2014) she says, noting that anthropology elicits people to consider the complex web of meanings that make up a society. Krasniewicz believes that anthropology’s obligation is to show people how those in other cultures live, behave and create their world, presenting these non-Western societies and groups as interesting alternatives that can be understood within their own cultural milieu. This intercultural exchange and understanding can be facilitated through geek culture. “We want to show people worlds people can’t see, which is what science fiction does, and speculative fiction and comic books. These are worlds that invite you to enter, for whatever period of time, and experience what it’s like to be an anthropologist. It’s one of the wonders of human beings that we can actually do that—that we can use our imagination and actually physically do that. My theory of humans is that this is how humans are made. They’re made to speculate about the other, not to fear the other as anthropology has often taught us or just to define the other. They’re made to speculate about the other and experience what it’s like to be the other” (2014). Through these imaginative forays into other possibilities and life worlds, Krasniewicz hopes to show that alternative ways of being are interesting, rather than intimidating. What Krasniewicz truly wants is an anthropological paradigm shift, in which anthropology on the periphery, such as geek anthropology, becomes a more central focus of the discipline. “My faith in anthropology depends on who is in control in anthropology,” she says. “You need to take control. You need to say that we’re redefining this wonderful discipline, and it is a discipline and it should continue to be a discipline, but we are redefining the subject matter” (2014) Part of this recasting of anthropology involves an increased emphasis on public anthropology, including anthropology’s accessibility to the general public and inclusion in public discourse. Part of this initiative has been pioneered by Paul Stoller in his column on anthropology for The Huffington Post, and Barry Hewlett’s collaboration with NPR to discuss the role of medical anthropology in public health crises. But Krasniewicz wants to push public anthropology further. She wants a group of anthropologists designated as public correspondents who regularly comment on and contribute to conversations in the public, through radio interviews, podcasts, talk shows and the press. These anthropologists would use their position in the public to serve as cultural consultants, adding an anthropological dimension to trending issues that would not only foster a deeper sense of cultural sensitivity and awareness, but also promote a better understanding of the use of anthropology for projects from mental health to brand marketing. As Krasniewicz states, anthropology needs to stay alive because it talks about “other possibilities and it’s a better world that everybody knows that there are other ways […] I’m down on the field of anthropology as it is, not as it could be” (2014). Geek anthropology could be an element of public anthropology guiding the discipline into this new speculative future. Just like science fiction is a “what if?” genre, asking us to consider alternative worlds, futures and histories, anthropology asks the “what if” questions too. 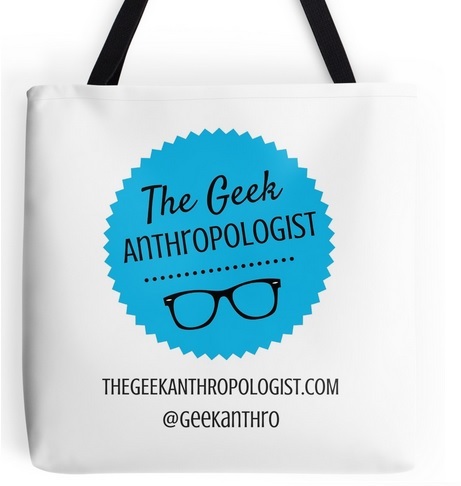 What if the geekery was incorporated into a larger conversation about contemporary anthropology and cultural study? What could it teach us about the world and ourselves as anthropologists? In a discipline so consumed with self-awareness and critical attention to positionality and identity, geek anthropology may be the perfect segue into a new era of anthropological inquiry. We look forward to Louise Krasniewicz participating in articles about geek anthropology on our blog in the months to come. Cameron, James (1984). The Terminator. Hemdale Film. Hardwicke, Catherine (2008). Twilight. Summit Entertainment. Krasniewicz, Louise (2014). Personal Interview. The Walking Dead (2010-2014). AMC. Reblogged this on The Golden Bork.